FILL a medium-sized pan with water, salt and bay leaves and bring to a boil. PEEL the pumpkin and remove the seeds using a spoon. CHOP the pumpkin into pieces and cook them for about 10 minutes. The exact cooking time depends on the size of the pumpkin pieces. DRAIN the pumpkin and remove the bay leaves. Create a smooth puree using an immersion blender of fine sieve with a spoon. SEASON the puree with pepper and salt and set aside. If you’re using smaller puff pastry sheets, you can make one large rectangle by sticking them together with a bit of water. 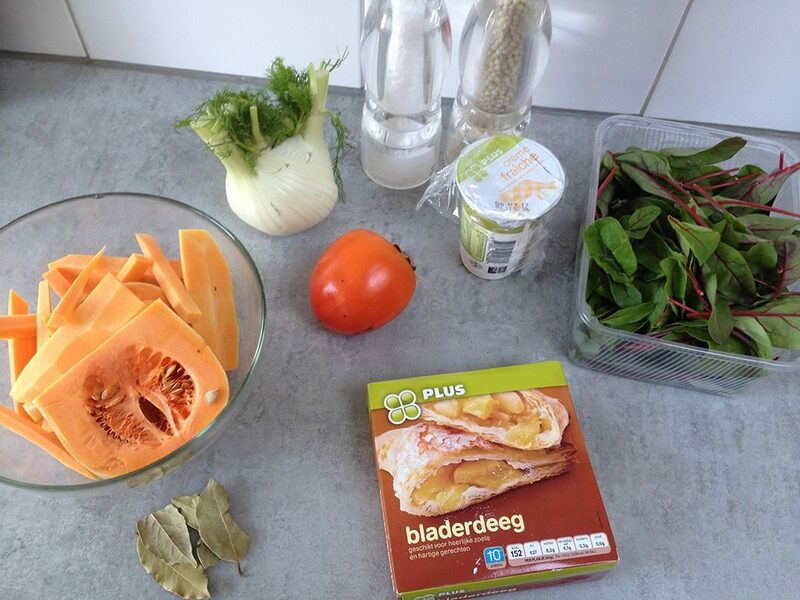 FOLD the edges inwards and use a fork to poke holes in the bottom of the puff pastry. 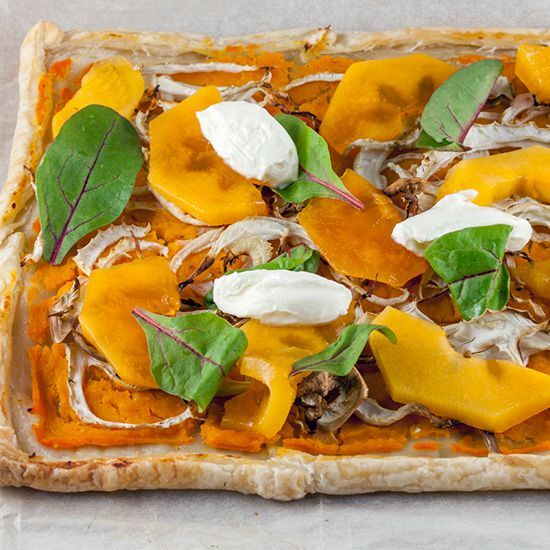 COAT the bottom with the pumpkin puree. REMOVE the hard center of the fennel bulb and slice into pieces. The slices shouldn’t be to thin otherwise they will burn easily, but also not too thick otherwise they won’t cook well. 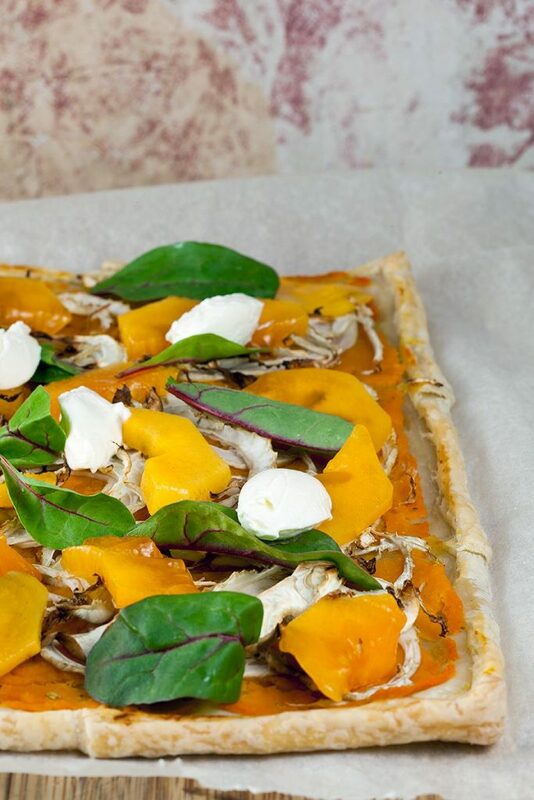 DIVIDE the fennel pieces over the pumpkin puree and bake the puff pastry tart in the oven for about 20 minutes. PEEL the persimmon and chop into slices. 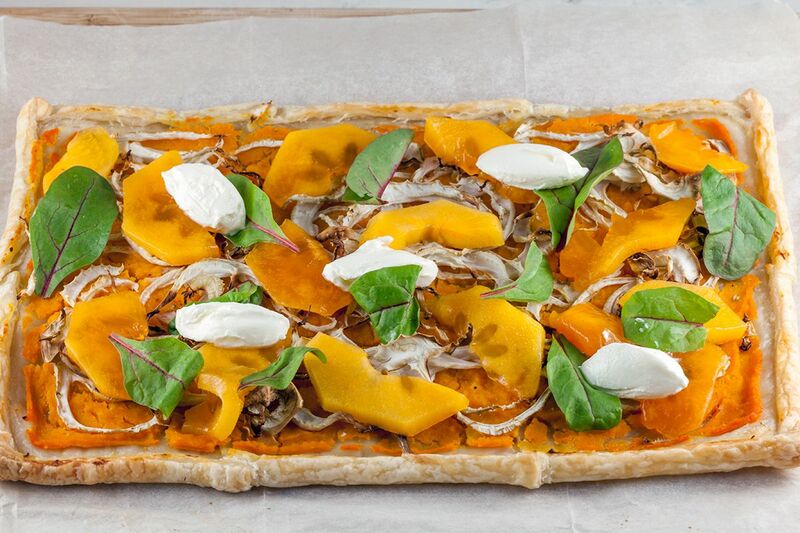 DIVIDE the persimmon, lettuce and creme fraiche over the tart and enjoy!